Marueen Duncan began leading Good News Clubs out of her New Hampshire home in the early 1960s. 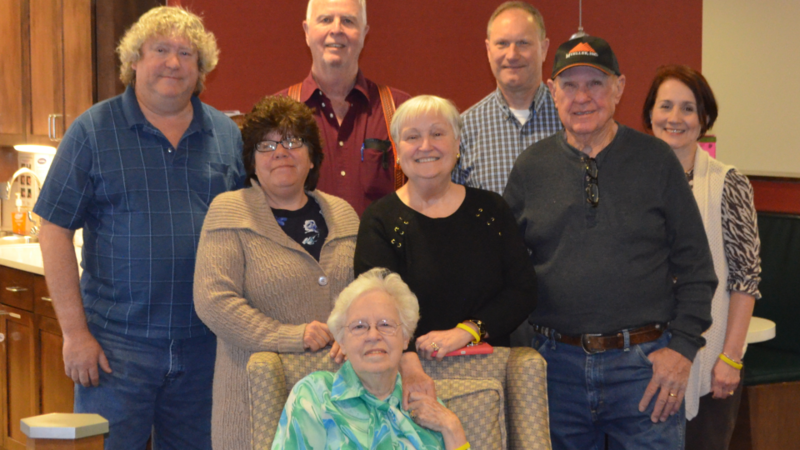 Through moves across the country with her military husband—New Hampshire to California to Alabama to West Texas—the now 84-year-old Baptist Retirement Community resident continued volunteering with the Good News Club every year for 55 years. “Wherever she’s lived, she’s had a Good News Club,” said Duncan’s daughter, Pam Gasper. In February, the Child Evangelism Fellowship, parent organization to the Good News Club ministry, honored Duncan for her outstanding service. Representatives from the organization traveled to San Angelo from their headquarters in Missouri to present Duncan with a personal letter from the organization’s president and a leather-bound Bible commissioned for their 80th anniversary. That Bible is now one of Duncan’s most prized possessions. Originally, Duncan hosted the clubs in her home. Local elementary school children would gather in her living room for songs and Bible stories, which she told on flannelgraph. Eventually, the clubs transitioned to schools, but even so, Duncan maintained her commitment to sharing the gospel with the next generation. “Maureen sowed the word of God into the hearts of countless children,” said Tim Noe, global partnership ministry representative with Child Evangelism Fellowship who presented Duncan with the Bible. “She didn’t just give a glass of water for a day or a meal for an evening. She gave them the water of the Word of God for eternity. It was the Buckner commitment to living out faith, a commitment much like her own, that led Duncan to Baptist Retirement. She and many fellow residents at the San Angelo senior living community share a connection deeper than just neighbors. Together they celebrate the work God has done in their lifetimes, even the work they may never see.